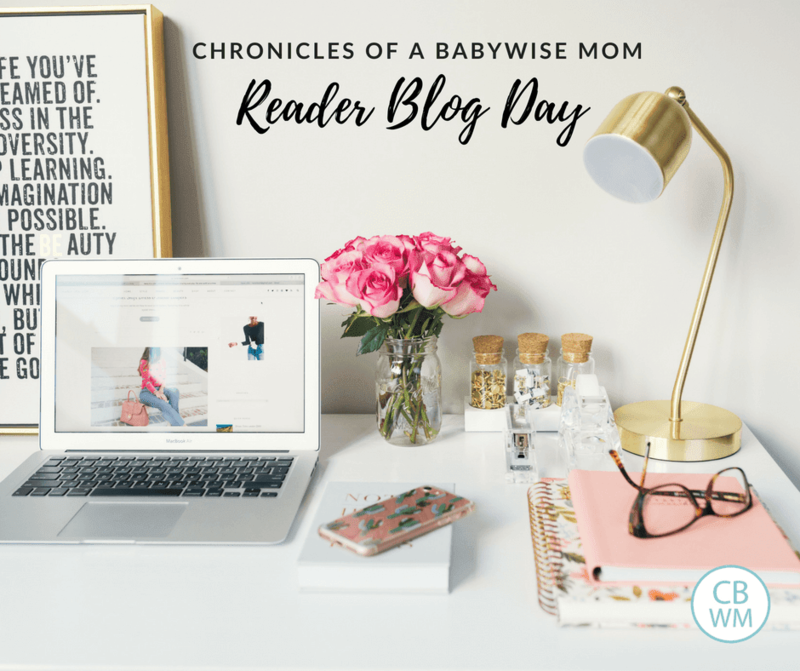 Chronicles of a Babywise Mom Reader Blog Day. Share your blog day. Today is the day to share your blogs with everyone. These can be any blog that you would like to share. Please look through the lists of categories below, choose the one that best fits your blog, follow the link, and comment on that post to share your blog. Please share your blog on only one link–choose the best one for your blog. If you don’t see a category that fits your blog, go to “Misc.” If/when I get enough similar blogs on that post, I will create a new category. If your blog is listed in one category but it actually fits a different category now, go ahead and list it with the better category. You must be willing to write and post Babywise content on your blog. Each month, we take a day to guest post on each other’s blogs. You would be writing for one other blog and one other blogger would be writing for your blog each month. This is not mandatory monthly, but we participate as much as possible. Each month, we all collaborate on a common topic and write about it on the same day. Again, this is not mandatory, but we participate as often as possible. We work together to improve as bloggers. We are looking for someone who already has a blog and has been blogging long enough to show they are a legitimate blog (probably at least three months). Please share this with any blogger you think might be interested! If you are interested in joining the BFBN, contact any member of the BFBN with your name, web address, and any information you would like to share. If you have an interest in any of these categories, check out these blogs! I do like to look through these lists when finding potential new members of the Babywise Friendly Blog Network, so it is a great place to get some visibility!